I am so stoked for the first day of Fall! This means cardigans, blazers, jeans, & tights are creeping their way back into wardrobes. This also means that Halloween & Thanksgiving are right around the corner (which ultimately means Xmas is on it's way too!). 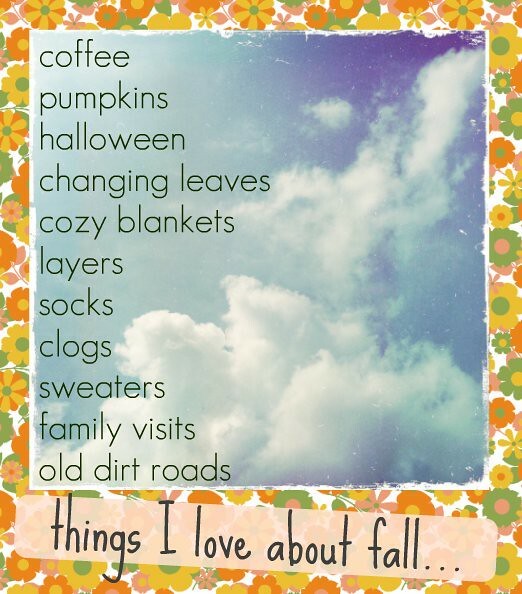 Its time for pumpkin patches, cozy porch swings, campfires, coffee with friends, football, food, & warmth.